In 2001 the label established a distribution and licensing agreement with EMI Records. Stewart, with contributions from Joss Stone, Sheryl Crow and Nadirah "Nadz" Seid. Bert Berns wrote the song with Jerry Ragovoy. Louis-born record producer and DJ. They were hosted by Queen Latifah, and televised in the United States by CBS. "Cry Baby" is a song originally recorded by Garnet Mimms and the Enchanters, in 1963, and later covered by rock singer Janis Joplin. Jay E rose to fame as the main producer of rapper Nelly's multi-platinum 2000 album Country Grammar. She has been nominated for three Grammy Awards. 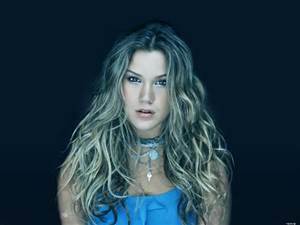 LP1 is the fifth studio album by English recording artist Joss Stone. It was composed by Bert Kaempfert, with lyrics by Milt Gabler. Now! 10 is a music compilation album that was released on August 23, 2005.